[IMG] After a few nights of horrid server latency, we cleared the corrupted druid. On to Dragons of Nightmare! [IMG] After a couple for horrid 1% wipes (and a box that just randomly opens itself - Lunawolfy) we have downed our next Heroic difficulty boss, in the hard part of the Siege of Orgrimmar. We are facing down the last four bosses (10/14 HC), next up is a rather large angry dinosaur and I imagine a far bit of wiping while we get the healing right. We are still recruiting and on the look out for good healers and DPS (melee and ranged)! 2005 anyone? 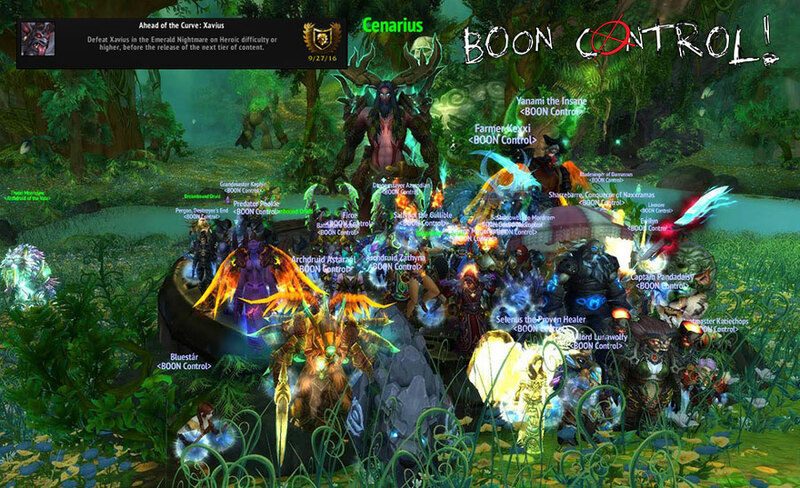 BOON's first official raid pre level 60, Tal! where is you mount? 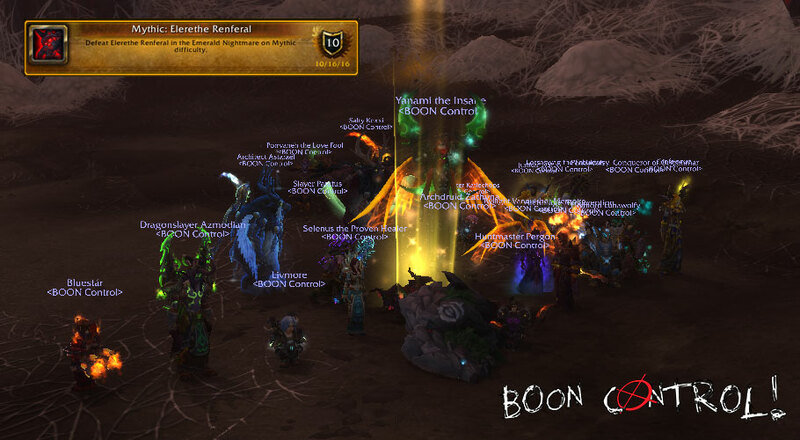 After a few nights of horrid server latency, we cleared the corrupted druid. On to Dragons of Nightmare! Not that many pulls needed, after getting past tanks getting MC'd, lots of green poop and the goddamn exploding bugs, Nythendra fell to the power of the BOON! !